Founded in 2011 in Munich, the startup crossvertise has managed to revolutionize the market for advertising campaigns. On the startup’s online marketplace, companies and agencies can easily compare and directly book every form of advertising. Nothing of the kind had existed until crossvertise. The technology that makes it possible was developed by the Munich based startup. It allows customers to professionally and efficiently plan and carry out advertising campaigns without specialist knowledge. How do customers benefit? Advertising options are offered across all channels, including print, online, radio, TV, theater and posters – the prices are affordable and a lot of time is saved. 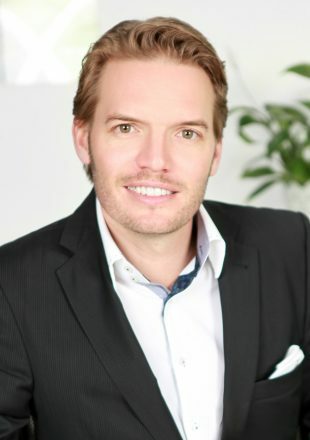 In our interview, co-founder and CEO Matthias Völcker told us about the motivation behind crossvertise, how the startup found investors and what founders should keep in mind when it comes to financing. What motivated you to revolutionize the advertising industry? All of the founders had previous experience with advertising. As we were talking about it, we noticed how lengthy and unclear the process of searching for the right advertising options had been for all of us while we were at it. The advertising industry is extremely fragmented and some areas lack transparency. Moreover, the bidding, booking and management processes are highly inefficient. In many cases, booking confirmations are still sent by fax. It is rarely possible to make a booking online. Our goal was to make it easier for smaller advertisers to access the advertising industry. They have small advertising budgets, which means they are not simply looked after by agencies. First and foremost, we are not taking anything away from the “big guys.” We are tapping into new potential, while simplifying processes that were once complex and lengthy for both the service providers and advertisers. Major providers such as Google have not been able to achieve that in the offline environment. The failed attempts by Google Print and Google Radio Ads are clear examples. Crossvertise gives you a good understanding of how to successfully introduce a B2B platform, while also improving deadlocked structures by establishing product and process innovation in a complex market situation. In this sense, we are an excellent example of ‘disruption’ using an intelligent IT system. You mentioned that finding investors was not easy due to your innovative business model. Just to name a few, you are now financed by HighTech Gründerfonds, Bamboo Ventures, Carsten Maschmeyer and the two largest ‘Yellow Pages’ publishers. What was the key to your success? The most important characteristics of a founder are persistence and perseverance. You also need a credible business plan and experts who are ready to help. The topic of legal advice in particular should not be neglected by startups, because it is important to have good contracts with investors. Of course, the sales figures also need to develop well. Last but not least, a competent and highly motivated team working towards a common goal is crucial. I think that the combination of all of these factors is the key to success; at least, that was the case for us. What are the current challenges faced by your company? We are currently in the middle of another financing round to secure growth for the next few years. ‘The time after a financing round is just like before a financing round.’ Especially in Germany, investors are conservative and want to first see that milestones have been successfully reached before furnishing additional funds. On top of that, finding the right employees is easier said than done. We currently have about 40 employees, but we will need to significantly increase that number for our next stage of growth. Finally, it is also important to maintain a technological advantage. Our booking solution is an extremely complex IT system with a large number of planning and calculation functions that are completely unique and which we developed ourselves. That by itself is anything but trivial, and of course we are continuously developing our booking platform. Push your luck or just take what you can get? In addition to the characteristics mentioned already – to persevere and stay the course – we were given particular advice regarding financing. We were advised to not concentrate too much on our own shares in the beginning, and to collect as much investment capital as possible instead. It is difficult enough to acquire capital in Germany, so no one can afford to push their luck in the beginning. Additionally, founders should learn to manage their energy and financial resources early on, because most things take much longer than initially anticipated. Cutting to the chase: how is business going? We currently have over 37,000 registered users. Most of them are advertisers, but that also includes agencies. Roughly 1,000 new users register each month. Our system implements approximately 100 campaigns each month. In 2016, we exceeded 10 million euros in revenue for the first time. We have also noticed a very strong demand for our white label solution. Many media companies and dealer organizations are particularly interested in using our system as ‘Software as a Service’ (SaaS) to optimize their own booking processes. A good example is 7Screen, a ProSiebenSat1 subsidiary. They decided in 2016 to use the crossvertise online planning tool to manage their digital out-of-home advertising (DOOH). What’s down the road? Where do you see yourselves in five years? In 2017, we want to venture a step into our neighboring European countries, which is why we are currently working hard on an English language version. And in five years? By then, crossvertise will be the first port of call for advertising companies as well as the market standard for booking advertising in Germany – and perhaps even worldwide. Munich Startup would like to thank you for your candid answers and wishes you the best of luck in the future!